In 1970, three Trappist monks at St. Joseph’s Abbey in Spencer, Massachusetts — Fathers William Meninger, Basil Pennington and Thomas Keating — resolved to respond to the Vatican II invitation to revive the contemplative teachings of early Christianity and present them in updated formats. To do so, they reached back centuries to the ancient tradition of contemplative prayer. Drawing from the monastic practice of Lectio Divina and practices described in the anonymous fourteenth century classic The Cloud of Unknowing as well as the writings of Christian mystics, the monks developed a simple method of silent prayer for contemporary people. The prayer came to be known as Centering Prayer in reference to Thomas Merton’s description of contemplative prayer as prayer that is “centered entirely on the presence of God.” The monks offered Centering Prayer workshops and retreats to both clergy and laypeople. 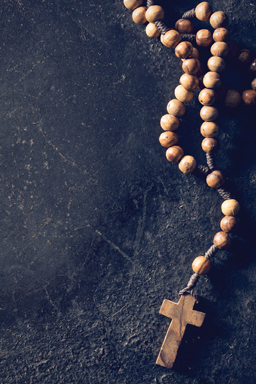 Interest in the prayer spread, and shortly after the first intensive Centering Prayer retreat in 1983, the organization Contemplative Outreach was formed to support the growing network of Centering Prayer practitioners. This information is largely from the website of Contemplative Outreach, where you can learn more about Centering Prayer and other contemplative practices.